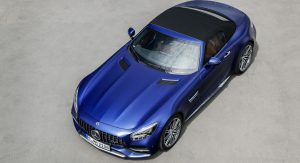 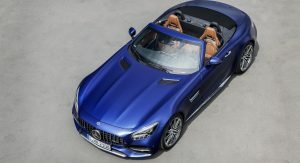 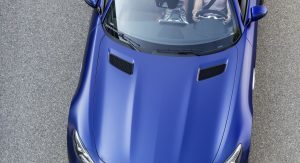 The refreshed Mercedes-AMG GT Coupe and Roadster can now be ordered in the UK, with pricing starting from £104,130 ($136,037) for the fixed roof version, and £115,730 ($151,192) for the convertible. 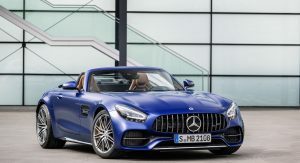 Meanwhile, the GT S Coupe and GT C Coupe cost upwards of £117,430 ($153,413) and £132,630 ($173,270) respectively, whereas the GT S Roadster and GT C Roadster start from £129,030 ($168,567) and £144,230 ($188,425). 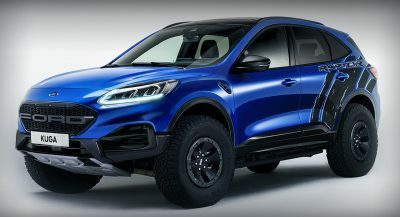 First deliveries scheduled for May. 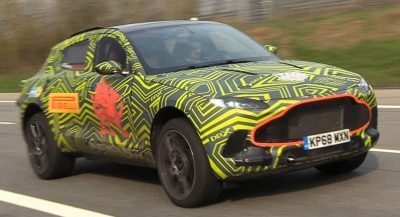 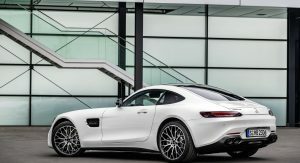 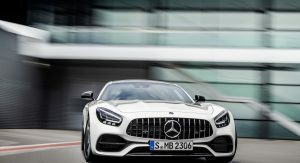 The update to the Mercedes-AMG GT range brings new exhaust pipes, exterior styling enhancements, new LED headlights, plus front and rear view cameras with parking sensors and a parking assistant system. 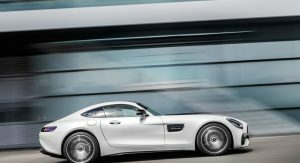 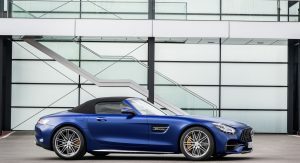 Standard specs for both the regular Coupe and the Roadster include LED headlights with Adaptive Highbeam Assist, a 12.3-inch digital instrument cluster, electrically extending rear aerofoil, AMG performance steering wheel in nappa leather with touch control buttons, AMG Track Pace, AMG drive unit with center console in V8 design, 19-inch AMG alloy wheels, heated seats, AMG performance exhaust, Keyless-Go, automatic climate control, silver chrome trim package, black nappa leather upholstery and parking assist. 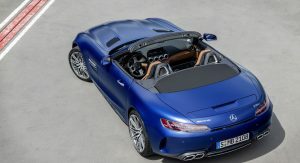 Opt for the GT S Coupe or GT S Roadster and you’ll gain electronically controlled AMG rear axle limited-slip differential lock, 19-inch/20-inch ten-spoke alloy wheels and the AMG Ride Control sports suspension with adjustable damper system. 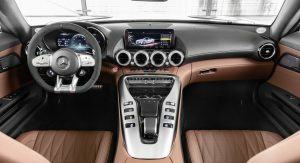 Finally, the GT C adds AMG rear axle steering, keyless-go, Mirror package and the Burmester surround sound system. 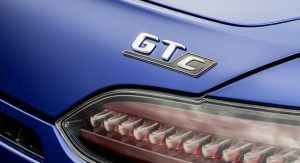 A number of option packages are also available, like the £3,495 (£2,995 for the Roadster) Premium package, which is standard on GT C models. 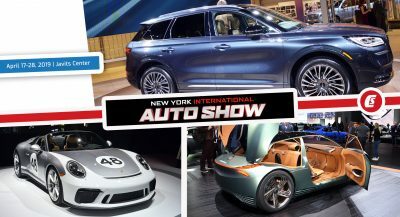 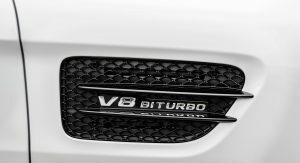 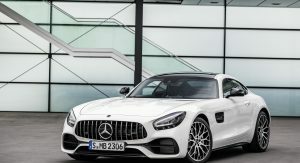 It includes the Keyless-Go package, Mirror package, Burmster sound system, Panoramic sunroof (Coupe only), and AMG door sill panels in brushed stainless steel with ‘AMG’ lettering. 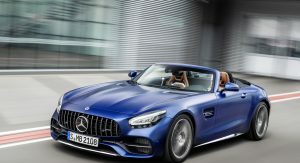 The Driving Assistance package costs £1,695 ($2,212) and holds Blind Spot Assist, Lane Keeping Assist, Active Distance Assist and the Pre-Safe anticipatory safety system. 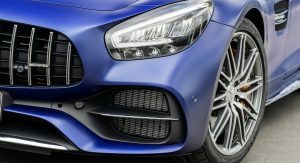 For a more distinguished appearance you can try the AMG Carbon Fiber package for £4,495 ($5,867), which includes the carbon fiber diffuser, mirror housings, air inlet grille and front splitter, plus rear windows with privacy glass on the Coupe. 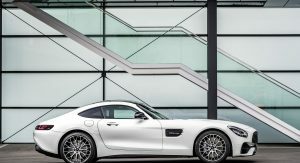 Then there’s the AMG Chrome package, available for £1,395 ($1,820) – comes with a silver chrome front splitter, silver chrome diffuser trim, matte black air inlet grille, silver chrome side skirt inserts, high-gloss chrome diffuser trim strip plus the rear side window with privacy glass, again just for the Coupe. 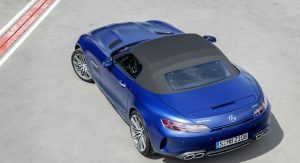 Last but not least you can get the AMG Night package for £995 ($1,298). 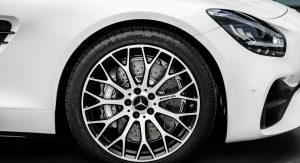 It’s comprised of a high-gloss black front splitter, mirror housings, side skirt inserts and diffuser trim strip, plus black exhaust tips. 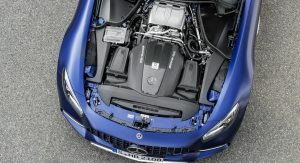 As for what makes the updated AMG-GT range tick, it’s a 4.0-liter twin turbo V8 which in the entry-level Coupe and Roadster produces 476 PS and 630 Nm (464 lb-ft) of torque. 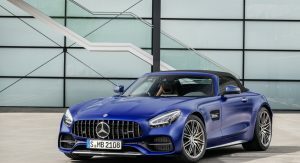 GT S Coupe and Roadster models bump that up to 522 PS and 670 Nm (494 lb-ft) of torque. 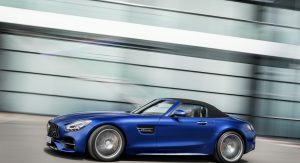 Finally, you have the GT C Coupe and Roadster, which are good for 557 PS and 680 Nm (501 lb-ft) of torque. 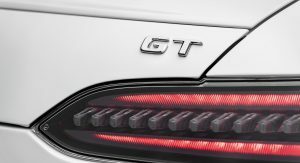 Those round exhaust tips look really great on the standard GT. 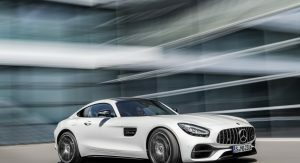 I freaking hate the Panamerican grille. 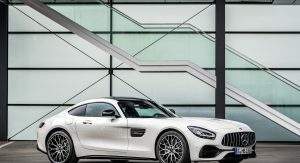 I think this would be the car I’d get if I had the money .. it looks stunning in person and it has one of the nicest cockpits around..
One of my preferred cars. 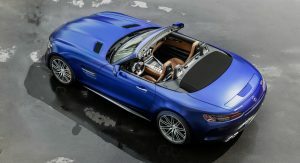 Benz has recently started to make a lot of models right design wise. 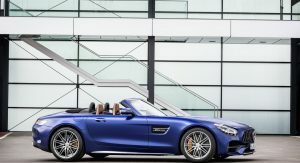 They still retain personality and class with a proper amount of quality. 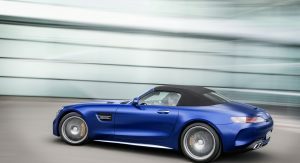 And only a few years ago i was here calling them cars for the elderly (and they looked the part indeed). 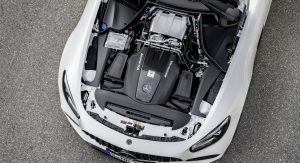 Astounding recovery from my viewpoint.